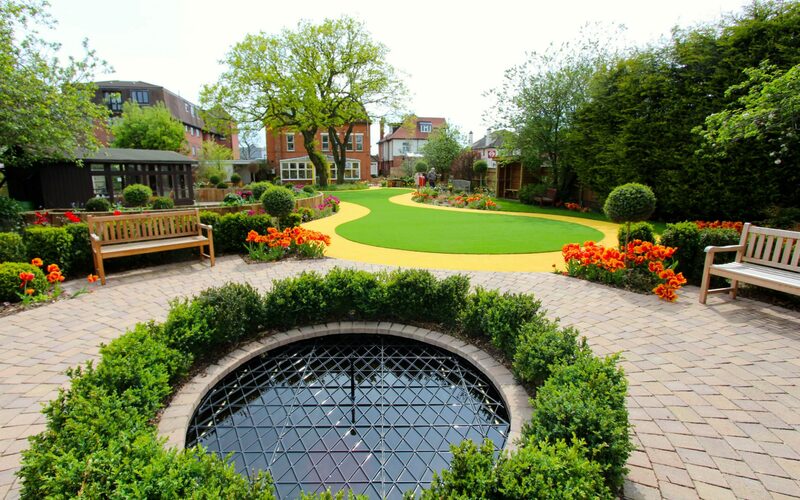 A government funded project to create a custom-made sensory garden to help dementia sufferers with a budget of £275,645. 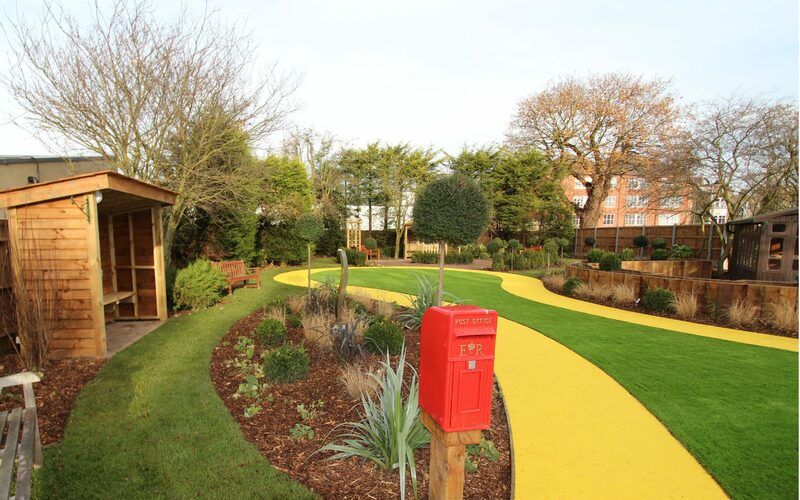 The garden is regularly available for dementia patients to visit from elsewhere. 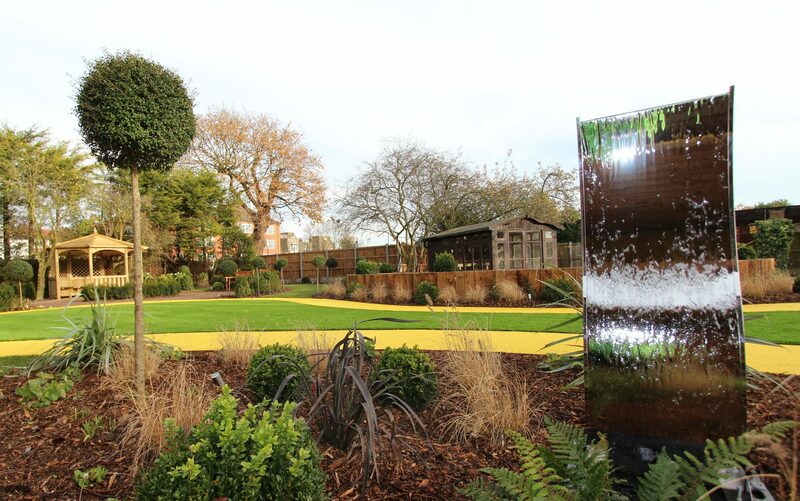 The Dementia garden was designed with many features to initiate Physical, Cognitive, and Social and Psychological benefits. 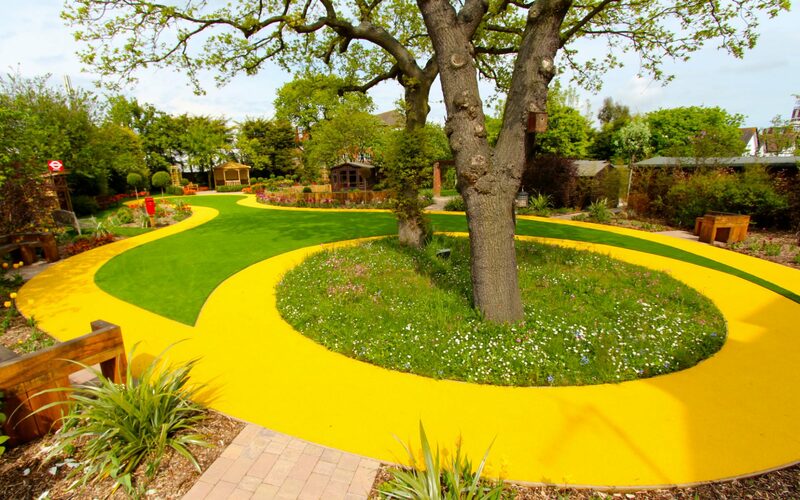 The carefully designed, figure eight pathway was created with no dead ends, linking all areas of the garden to a central line forming a safe environment for the residents. 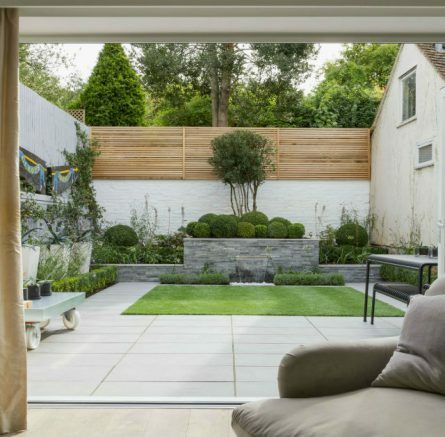 The planting scheme was designed on a colour wheel to help residents identify different areas of the garden. 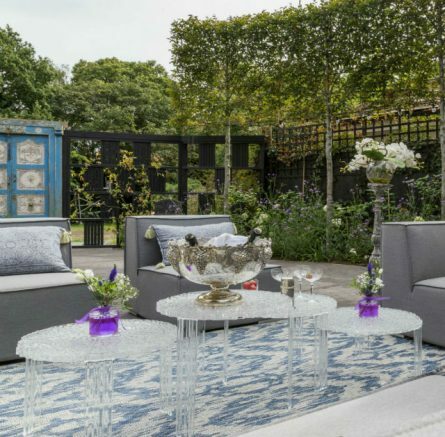 Multiple seating areas were placed around the garden to ensure the safety of the patients and a place to relax and chat with family and friends. An activity area for no-bend vegetable growing and workshops for painting and small craftwork was also built into the design. 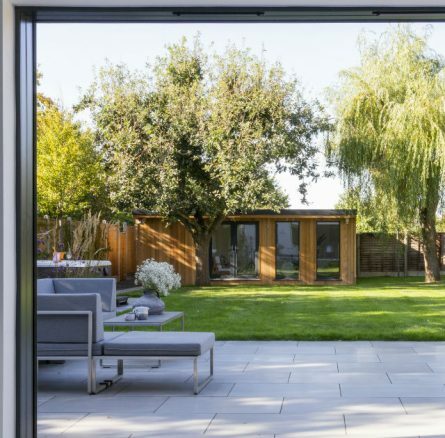 Other items that offer stimulation and psychological benefits were strategically placed such as metal sculptures with flowering roses trained over to denote entrances and exits, a postbox and bus-stop to trigger memories and water features to create areas of tranquility and reflection. 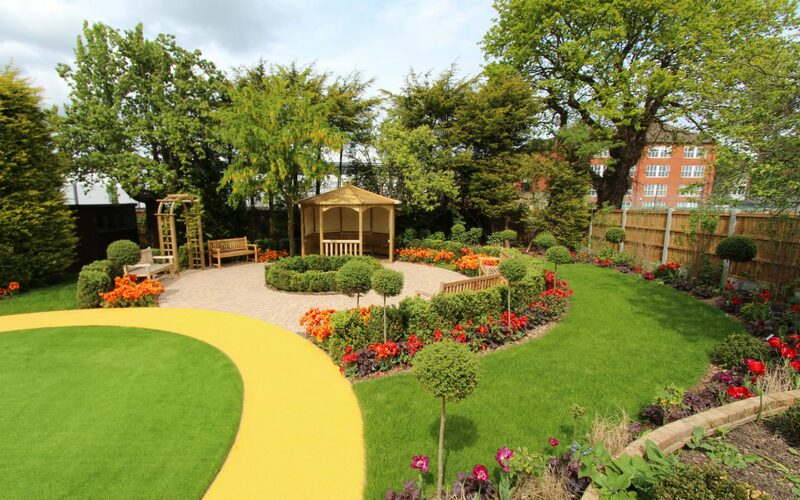 The garden was officially opened by Angela Rippon OBE on May 23rd 2014 and has been described as a national example of excellence in dementia care. 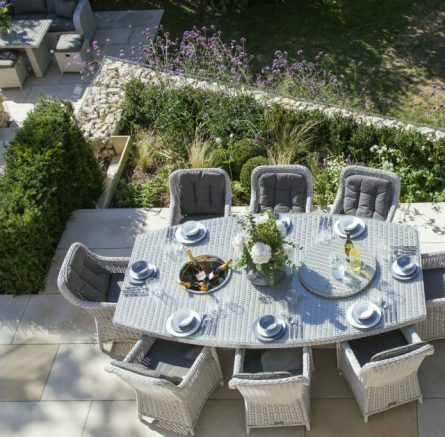 Cube 1994 provided a complete garden design and build service.